Happy Friday! 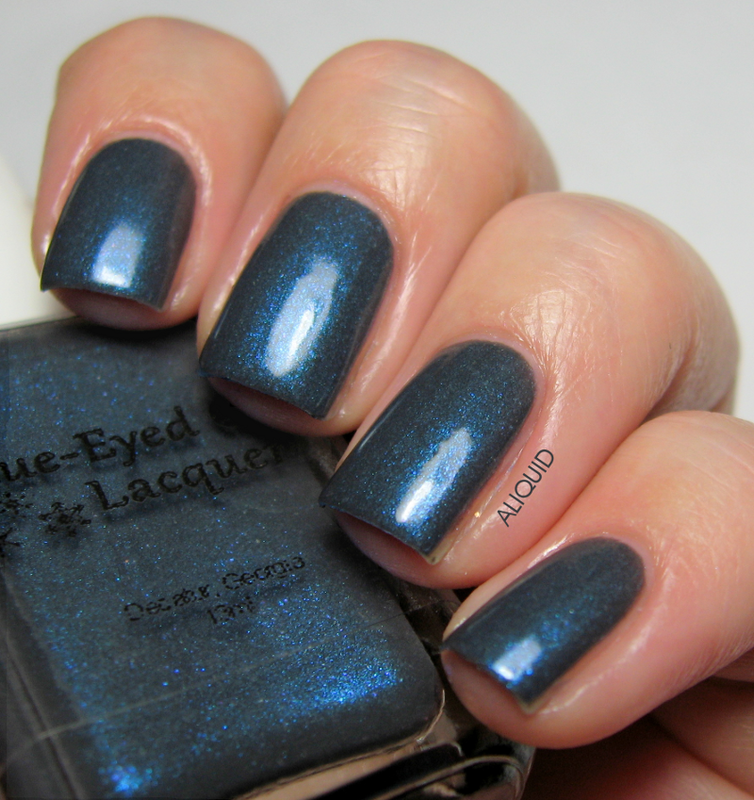 Today I'm excited to show off an upcoming collection from a new-to-me indie brand, Blue-Eyed Girl Lacquer! 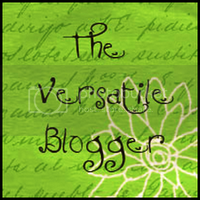 I was so honored that Julie asked me to review for her! The Spark in the Dark collection is perfect for winter because it's full of different shades of blue, which made me really happy! Of course, blues are the hardest shades to photograph, so I had to color-correct some of these, and the colors still might not be 100% accurate. So I would definitely look for multiple swatches before purchasing if that concerns you! A note on the formula: the brand states that their polishes are "designed to be opaque in one to two coats, so they may need to be thinned to your desired consistency." I found that they were definitely on the thicker side but still perfectly workable, so long as I was careful to wipe a lot of excess polish off the brush. I didn't feel the need to add thinner to any of them, but that's just my preference! OK, let's start with an LE polish called Hypothermia! This polish will ONLY be available if you purchase the entire collection. It's described as a purple holo with purple shimmers, although to me the base color is more like faded indigo. Blue-Eyed Girl Lacquer Hypothermia. One coat with Out the Door topcoat. The purple shimmers were hard to catch on camera, but they're definitely there in real life. The holo effect is nice and strong. This polish was a great one-coater! Next is Bound to the City Life, a dark teal jelly with multicolored holo microglitter. It has great depth and sparkle! Blue-Eyed Girl Lacquer Bound to the City Life. Two coats with Out the Door topcoat. Since this is a jelly, it was thicker than the others and took a little more finesse to apply evenly. I didn't find it unpleasantly goopy or sticky though. This is Counting Down Until I See You, which has a clear base packed with pink microglitter, as well as some larger pink glitter, gunmetal grey glitter, and silver reflective beads. Definitely the blingiest member of the collection! 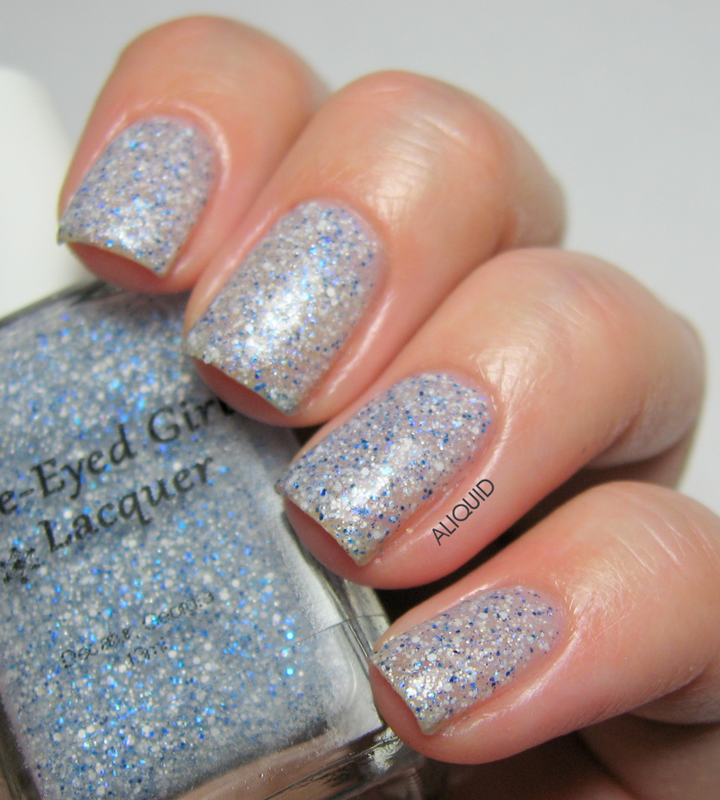 Blue-Eyed Girl Lacquer Counting Down Until I See You. Two coats with Out the Door topcoat (left) and Revlon matte topcoat (right). Since this one's very sparkly, I added matte topcoat to my ring and pinky nails so you can see the details a little better. (Plus I think it looks great matte!) The glitter applied very evenly, and two coats was sufficiently opaque for my taste. Next up is It's Almost After Midnight, a smoky dark grey with strong blue shimmer. This is definitely one of my favorites in the collection--it's so moody! Blue-Eyed Girl Lacquer It's Almost After Midnight. Two coats with Out the Door topcoat. 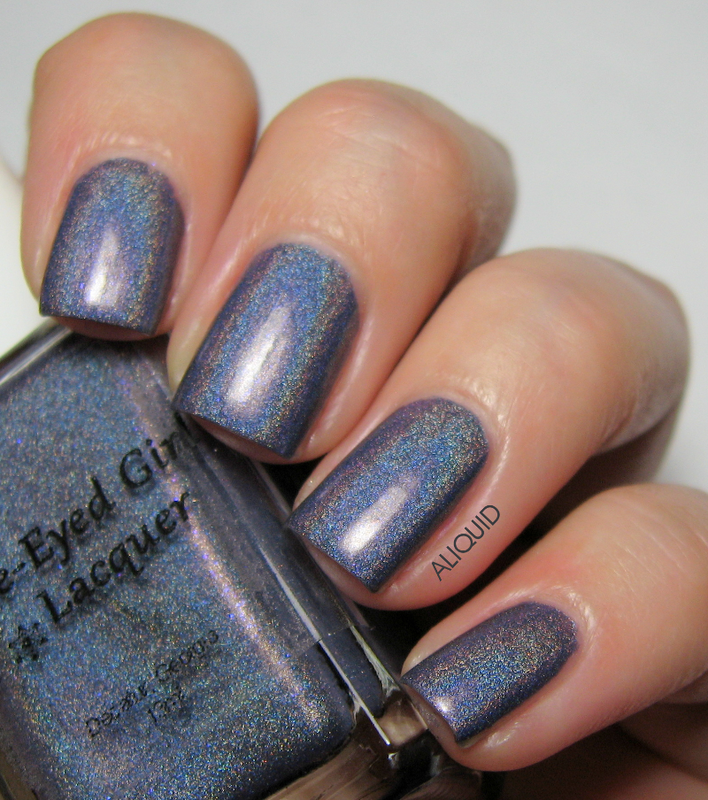 Here's Never Danced Like This Before, a navy holo with teal shimmer. It's gorgeous, with a jeweltone-like quality to it. 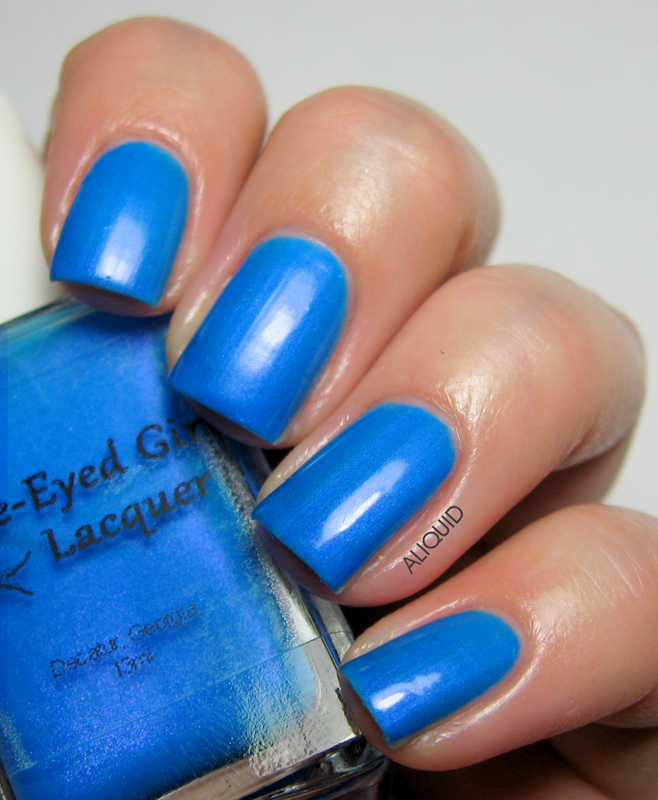 Blue-Eyed Girl Lacquer Never Danced Like This Before. One coat with Out the Door topcoat. This was another one-coater. I'm really impressed with how she manages to get such depth and opacity in a polish at the same time! The holo particles here are a little bigger and less dense than in Hypothermia. 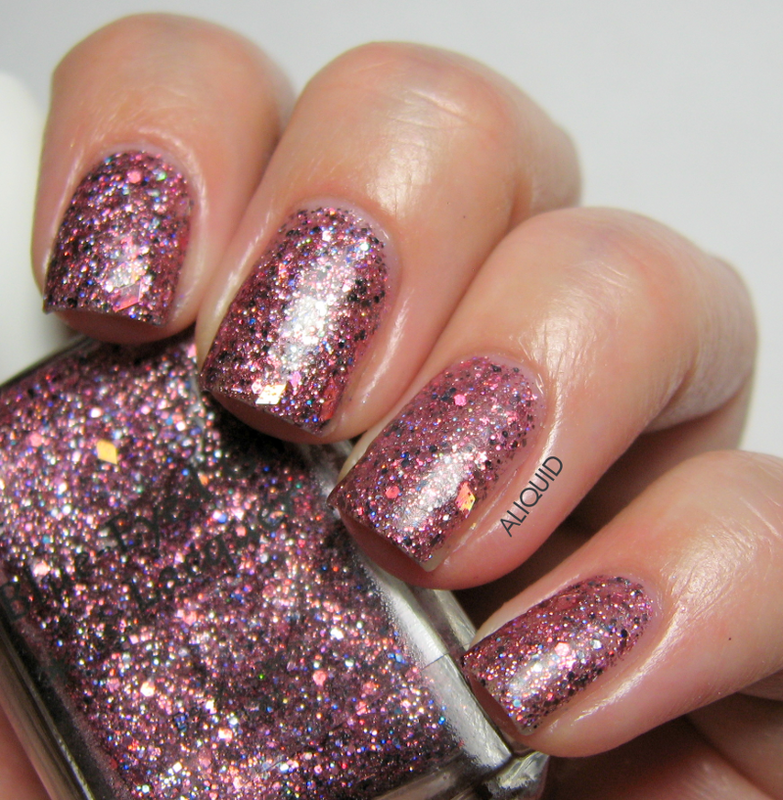 Next is She's Electricity, a hot pink holo with pink and aqua shimmers and purple-blue iridescent microglitter. This one feels like a splash of summer in amongst all the blues! Blue-Eyed Girl Lacquer She's Electricity. Two coats with Out the Door topcoat. The extra shimmers and glitter are visible, but they don't pop out quite as much as I was hoping. Maybe if I added some thinner? The holo effect here is the weakest of the three holos in the collection. Next up is The Years Have Been Short, which is a slightly white-tinted base with blue, white and iridescent microglitters, blue shimmer, and silver reflective beads. This polish just screams "snowstorm" to me! Blue-Eyed Girl Lacquer The Years Have Been Short. Two coats with Out the Door topcoat. Again, the glitter applied very evenly and I was happy with the opacity at two coats. 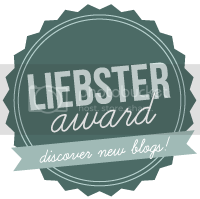 I think this would also look nice layered! Blue-Eyed Girl Lacquer Wanna Fall in Love Tonight. One coat with Out the Door topcoat (ring and pinky fingers). Although my nail line is visible here, I couldn't really see it in normal lighting. I probably could've gone for two coats though. As you can see, the shimmer is very fine and adds a luminous quality to the polish. In addition to the Spark in the Dark collection, I also received a limited edition polish in the Siren Series, which will only be restocked once. Sirens Are Made For Water, Not Snow is a blue creme with a purple flash that dries semi-matte. As above, I added topcoat only to the ring and pinky nails. Blue-Eyed Girl Lacquer Sirens Are Made For Water, Not Snow. One coat with Out the Door topcoat (ring and pinky fingers). 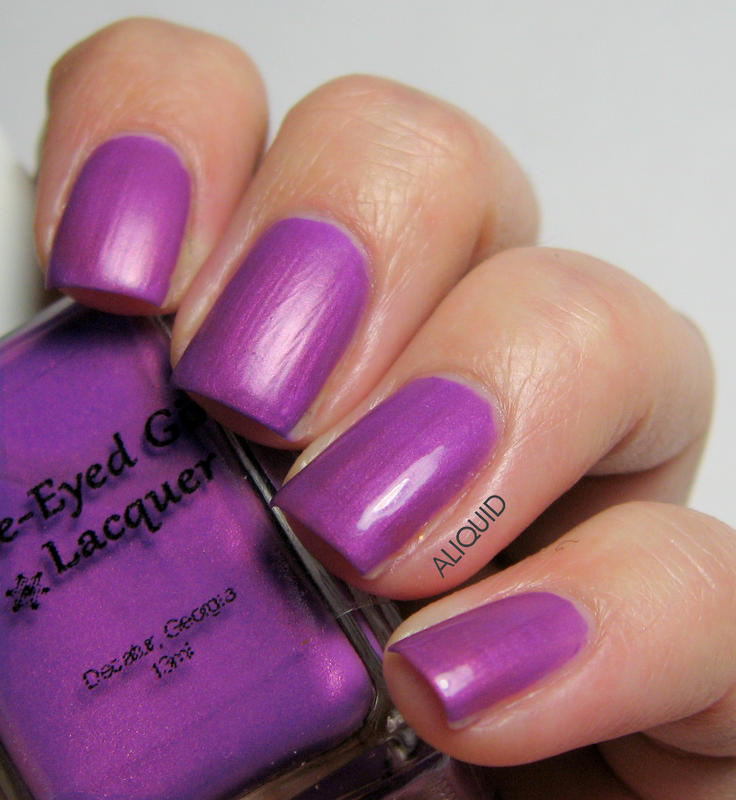 I was a bit disappointed to find that the purple shimmer is much weaker on the nail than in the bottle. (My camera couldn't pick it up at all because it was confused by all the blue.) This might be another case where adding thinner could help. Overall, I think this is a really solid collection, especially with all those gorgeous blue polishes! My favorites would have to be It's Almost After Midnight, Never Danced Like This Before, and The Years Have Been Short. Which do you like best? All these polishes will be released on January 12 at Blue-Eyed Girl Lacquer's shop! You can get the entire eight-piece Spark in the Dark collection for just $67 (13 ml size) or $37 for minis. 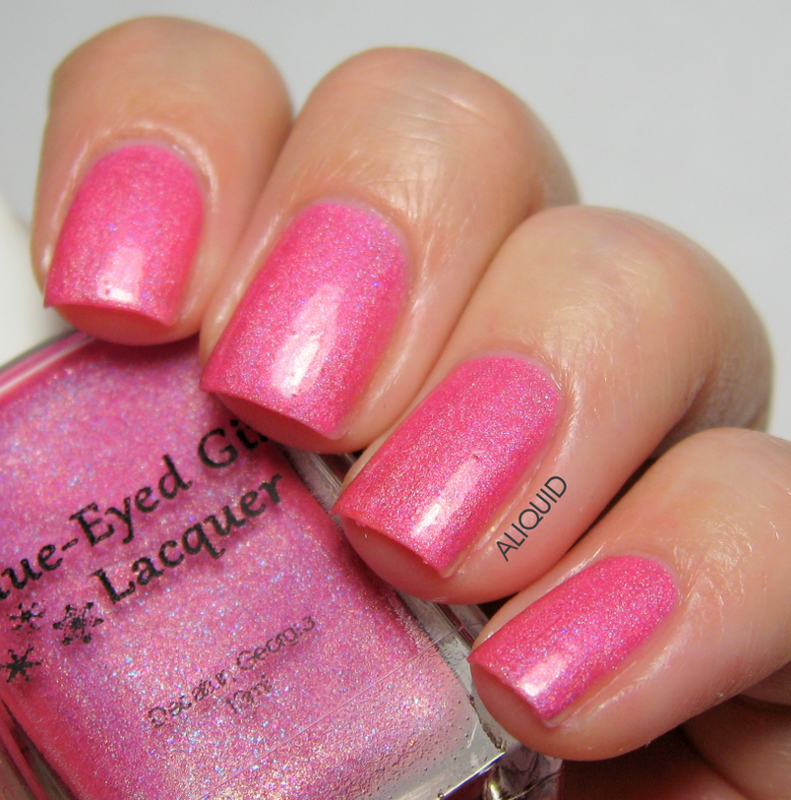 Be sure to follow Blue-Eyed Girl Lacquer on Facebook, Instagram, Twitter and Pinterest to stay up-to-date! Lovely swatches of all these. Gorgeous colors. They are all pretty but Almost After Midnight is gorgeous! 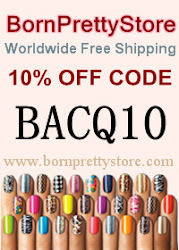 There are some gorgeous polishes here! I really like It's Almost After Midnight and Never Danced Like This Before! I don't care for the glitters much, but all of the others are gorgeous! I think this is a solid collection, like you said! Thank you for the lovely swatches!